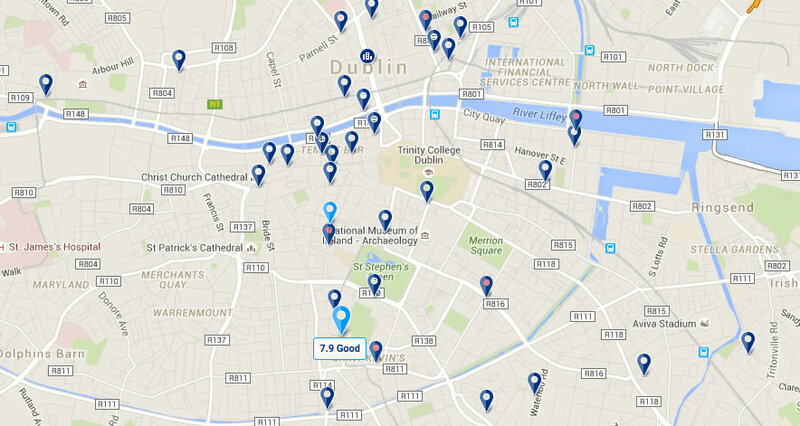 If you have never been to Dublin before, how do you decide which Dublin hotel is suitable for you? There are many factors which you take into account including location, price range, facilities, star rating, customer reviews and so on. But with over 100 hotels available for booking via booking.com on Dublin Overnight, you will need some guidance in choosing a hotel which suits your needs. To help, we have selected some of our favourite hotels on our hotels page. On the sidebar of that page you will also see links to our selection of 3 star, 4 star and 5 star hotels as well as links to Dublin Airport hotels and cheap hotels. If you haven’t found what you are looking for at that stage you can refine your search further by entering your date of arrival and departure in the “Search Hotels” box on the right of the page. This will take you to the booking.com Dublin page where you will find many more filters to narrow down your search by price range, star rating distance from the city centre, customer review score and more. It will also enable you to find hotels in the Ballsbridge, Saint Stephen’s Green, Temple Bar, Parnell Square, Rathmines, Drumcondra and Clontarf areas of Dublin. We find that booking.com is the best accommodation search for finding the right hotel in Dublin or anywhere in the world. See why we chose booking.com. There are many other filters on the booking.com search page to help you find the ideal hotel for you. 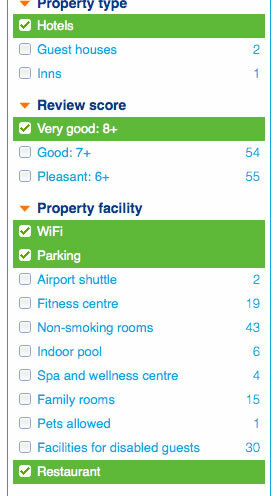 For example, you want to find a Dublin hotel with a very good customer rating which has WiFi, Parking, a restaurant and is close to the city centre. Simply enter your dates in the search box and when you get the list of results, tick the boxes in the filter and Order by “Distance from city center”. You will be left with the perfect results for you. When you select any hotel on booking.com you can view it on the map. The map will also show you all the adjacent hotels. You can view details of any other hotel by clicking its marker on the map. Please note also that there are numerous deals and discounts available on various dates so you can be assured of great value by doing a little research.